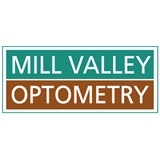 Mill Valley Optometry (Mill Valley) - Book Appointment Online! Mill Valley Optometry, established in 1993, is a full-service, family-oriented vision care practice in Marin County, California. We provide comprehensive vision examinations with an emphasis on prevention and improvement. Our practice utilizes the most up-to-date, computerized technology in vision care, offering the highest quality ophthalmic products, contact lenses and a full selection of eyewear for the whole family. We are proud to offer you quality vision care in a friendly, comfortable and professional environment. We look forward to meeting you and solving your vision needs.